How are skid marks used to determine the specifics of a car accident in Maryland? In most automobile crashes it is crucial to determine who was negligent or at fault for the car accident in Maryland. It is also important to estimate the speed of the vehicles that were involved in the crash. Many times drivers and eyewitnesses have different versions of the accident. That is why all the physical evidence is relevant. If you were involved in a car crash, you should contact a personal injury lawyer from Maryland to help you with your case. In some cases, the only way of determining the fault is by analyzing the physical evidence. This analysis should be done immediately after the accident because, as time elapses, the physical evidence starts to deteriorate. All the physical evidence will be taken into consideration, including glass and plastic from the lights. Another piece of information that could prove crucial to your case are the skid marks. Also known as tire impressions, the skid marks are the evidence that remains on the asphalt from the vehicles involved in the accident. In a car crash, the police officer will measure the skid marks. The length of the tire impression can vary on several variables, such as weather, speed, type of tires, etc. 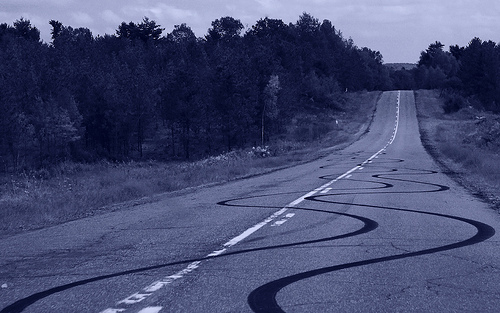 The traffic law in Maryland accepts the skid marks as viable evidence in a car crash case. If you took part in an accident, you could prove your innocence with the help of an Annapolis injury lawyer. In addition to this, with the aid of an Annapolis injury attorney you can demonstrate the liability of other drivers and receive car injury compensation in MD. An expert in analyzing skid marks can determine the path taken by all the vehicles that participated in an accident. In addition to this, the expert can determine the approximate speed of each car, indifferent of the weather conditions. Furthermore, it is even possible to calculate the loss of speed of a vehicle before the accident. Some precise methods and formulas will help determine the variables in a car crash, and it is more complex than adding two speeds. The traffic law in MD permits to bring into court a skid marks expert that will present the evidence from the vehicle accident. Most Annapolis injury lawyers can contact professional skid mark experts that will help with your case in determining the fault and the car injury compensation in MD. Ascertaining the speed of the vehicles from an accident can be based on the skid marks, but it depends on a series of variables, such as the coefficient of friction of the roadway. The general road conditions also influence this factor. The skid marks expert your Annapolis injury attorney recommended will perform a “drag test” to gather accurate data about the friction of the road and the conditions of the roadway. The data resulted from the analysis is a general estimation, but it will still help you in your case. If you were involved in a car accident, you should contact the best personal injury lawyer from Maryland at (443) 569-3950 or at email [email protected].